The road to success is long, especially when you've tied your own shoelaces together. One of the things I like most about being a photographer is that it provides me with an avenue to being still and fully present wherever I am. It's a meditation of sorts. Perhaps because of this, I tend to avoid well-traveled places and seek out quiet refuges where I may practice this artful form of meditation undisturbed. 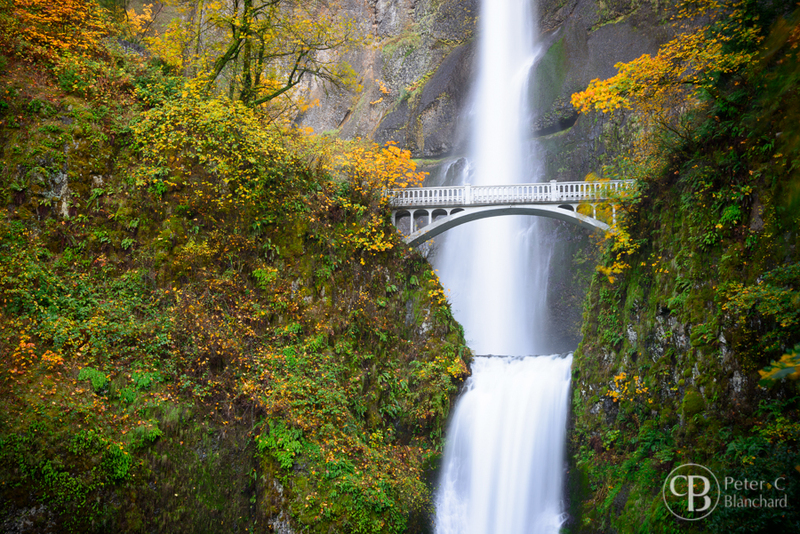 But not long ago, I decided to visit Multnomah Falls - one of the most touristed spots within a hundred miles of Portland. The meditation that I found there was of a different sort. It was a cold November day, but even so the parking lot was more than half full. I found a vantage point that I liked, and stood for almost two hours as people walked back and forth, or waved down from the bridge to have their picture taken by their fellows. Four different people asked me to take their picture as I stood waiting for a chance to make the waterfall look alone. I could easily have been annoyed by all of the people taking selfies in front of this grand waterfall that can as easily be "hiked" to in flip-flops or high heels as sturdy boots, but instead I chose to focus on that first part - this is a grand waterfall indeed. Even people who are not comfortable on what I consider to be a "real hike" come to this place every day to appreciate it's impressive elegance. And so did I. I became friends with this beautiful place as I stood there, choosing to get out of my own way and simply take in the awesome sight of this Oregon gem. Please support my work creating beautiful, calming imagery for use in healthcare facilities and other settings where stress-reduction can have a meaningful impact on the quality of life.